According to our data at Catalyst Balkans, the nonprofit sector in Serbia and the region is turning to the community as a source of funding for their activities. A prevalent practice so has been donating money for humanitarian projects (mostly covering medical expenses), but citizens are companies are increasingly more ready to support other, development programs. The quickest and easiest way to donate is without any doubt online, because of its availability, cost effectiveness and time saving. According to a research of global trends, 54% of donors in the world prefers to donate online. In Serbia, online donating is only in its inception (SMS donations are the most common). Online donating is most beneficial for organizations which implement online donating in their fundraising strategy early on. As far as local possibilities in Serbia are concerned, there are 3 and a half ways to get donations online. Pardon, 3 and a half ways? Well yes, since PayPal in Serbia is a grey area and is only partially available/legal. As per state regulations and opinion of the National Bank of Serbia, legal entities in Serbia may use PayPal only in international transactions. In other words, it is only legal to receive payment form foreign citizens, and illegal from citizens of Serbia. PayPal actually has no records on the residency of its users, so if you do implement this method for donations, there is technically no way of preventing anyone from donating to your cause, including the citizens of Serbia. However, if does happens you are committing a felony. Although we do not know of any cases were Tax Administration controlled any nonprofit organization about donations from home citizens via PayPal, it really doesn’t make this method any less illegal, which is why we generally do not recommended it, unless your community is largely based abroad. We hope that Serbia will change its legal framework, and eventually allow people to legally donate via PayPal and other foreign institutions of electronic money. Creating PayPal accounts for nonprofits is simple and doesn’t require extensive technical knowledge. It’s enough to create a special business account and chose the nonprofit category. You will have to enter your bank account data, so that money can be transferred from your PayPal account onto your bank account. After that you will be able to create a “Donate” button and include it on your website or in your newsletter. The fee per PayPal donation for all nonprofits outside the USA are currently 3.7% plus EUR 0.35 or USD 0.3, depending on the currency of the donation. So, for example, if somebody wants to donate EUR 10, you will receive EUR 9.28 and PayPal will keep 72 Cents. Last March, Catalyt Balkans relaunched the local crowdfunding platform for nonprofits Prošlog - Donacije.rs, which was previously run by Fund B92. Over the course of 10 months, 19 campaigns were launched over the platform and a total of (RSD 6,700,000) was raised for various projects. Each nonprofit registered in Serbia (associations and foundations) can easily launch its campaign, as long as it has a realistic idea and a community which can back it. You can read more about starting a campaign in our blog post 24 Steps for Successful Crowdfunding Campaign on Donacije.rs or check out this infographic. The main advantage of such crowdfunding campaigns – which means funding an idea meant to solve a specific problem/need and your intensive (online and offline) campaign in the community in a limited timeframe – is a greater visibility and impact in society. Also, donors prefer to donate for specific solutions in the society, rather than the general needs of an organization, which is also the reason why Catalyst promotes this method. This is also the technically simplest solution, as you get a fully functional platform where you transparently present the progress of the campaign, which builds trust with donors. However, running a campaign also requires a lot of commitment, so you ought to prepare yourself for a lot of planning and very intense work. Not only are Donacije.rs a service which allows nonprofits to raise money online for specific, ideas, but also Catalyst Balkans is there to offer help and advise each organization individually throughout the entire process – planning, preparing and running the campaign. In practical terms, the organizations also acquire a valuable set of skills which they will be able to use in future for connecting with their community. Your backers will be able to donate with the debit or credit cards, and soon we will be implementing the possibility to donate through iPay. The whole technical side of the work is the concern of us here at Catalyst Balkans. This summer, we’re planning to launch an entirely new platform with an improved user experience, which will offer new possibilities for nonprofits, such as campaigns with no time limit, or recurring donations (on a monthly or annual level). Catalyst Balkans requires no payment from the organizations which run campaigns on or those who donate through Donacije.rs. In the future version of this platform we will introduce the option of voluntary donations for the platform’s maintenance and development. The only fees which is charged are those related to the use of cards, and they are currently between 2.5 and 3% per transaction, depending on whether the donors use Mastercard, Visa or Dina cards. The good news is that on 17th December of last year a new Law on interbank charges was adopted, which is supposed to lower these fees to between 0.2 and 0.3% in the upcoming period. You’ve probably heard of the Be Humane Foundation (Fondacija Budi human) – their website is the focal point for personal fundraising campaigns (for which over 4 million Euros has been raised in 2018 alone). However did you know that nonprofits can also use their website to raise funds for their work? Over the website budihuman.rs there is currently 7 active campaigns by nonprofit organizations. As opposed to campaigns run on Donacije.rs, the ones run on this platform have no time limit and don’t have to focus on a specific need/project. The greatest advantage of the Budi human platform is the possibility of donating via SMS, as only a small portion of money there comes from using debit and credit cards. You must have noticed that websites of global organizations include a “Donate Now” button in a prominent place. If you have a lot of visitors on your website, you can also introduce the possibility of online donations, so that people who read your content and support your work could also support you financially – with just a couple a clicks. • Payment processor, which you may develop yourself or with the help of a third party. Setting up and testing a payment processor can last up to several months. To make it easier for nonprofits to receive online donations, as part of our CRM platform CiviCatalyst we have also developed a payment processing functionality for anyone who has an account at Banca Intesa. This will allow you to set up a “Donate” button on your website shorty after opening your account, and start receiving online donations. An additional benefit of this solution is that all donations are automatically entered into your CRm together with all other date which your organization collects and stores. So, for example, it will take you only a couple of clicks to find out at which time of the year your supporters donate the most, which will help you find out when might be the best time to ask them to donate. CiviCatalyst payment processor is the standard part of the basic and advanced CiviCatalyst CRM platform package, and organizations which want to use just this functionality pay 10 EUR per month for transaction processing, if the monthly amount of donations raised is less than 1.000 EUR. If this amount is higher, than the fee is 1%. Why Facebook is (still) not an option? You may have seen that Facebook has introduced a new functionality for donation – Facebook Fundraisers, which is meant to allow nonprofits and individuals to raise money directly over this social network. Unfortunately, this option is till not available in our region, and there are no indications that this might happen anytime soon (but just in case, you can check this website from time to time). 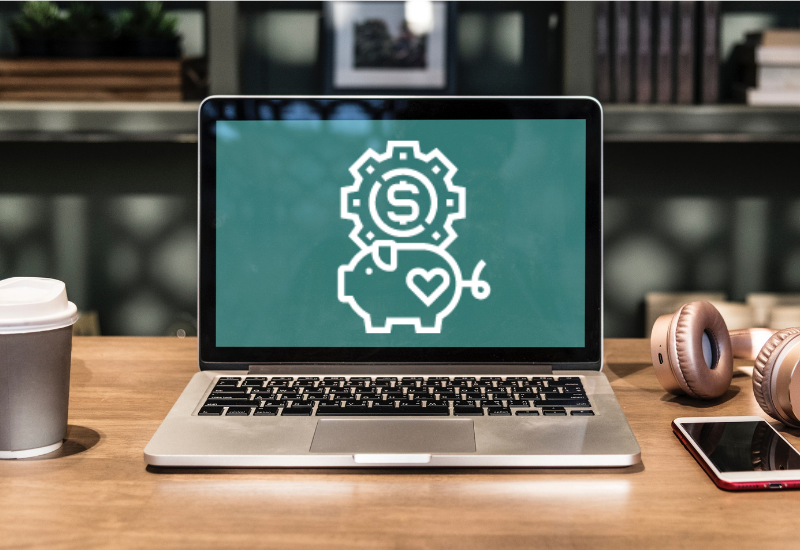 The increase in online donations, transformation of the business sector as well as global trends all suggest a need for the local nonprofit sector to adopt new fundraising methods. The options are to implement some of the methods on your website (CiviCatalyst or PayPal) or use one of the specialized platforms (Donacije.rs or Budi human). Of course, you can always use one of the global crowdfunding platform, but bear in mind that in this case the fees will also be higher. The main question in that respect is whether your community is largely based in Serbia or abroad. What are your fundraising plans for 2019? Will you be including online donations in them?